Amazingly Odaline de la Martinez's ensemble Lontano is 40 this year and the ensemble is celebrating by presenting the Sixth London Festival of American Music at The Warehouse in Theed Street, London from 6 to 11 November 2016. I recently met up with Odaline to find out more about the festival. But she is a woman with a lively range of interests and inevitably our engaging conversation ranged widely, taking in other mutual interests such as the music of Dame Ethel Smyth and Odaline's work to promote it, as well as many delightful highways and byways, ranging from the problems of dealing with copyright (and the danger that it may increase to 90 years in the USA), to the original French libretto for Smyth's The Wreckers. This year's London Festival of American Music is the sixth such festival. Odaline started it because she felt that there were so many interesting American composers alive, yet only five or six are well-known in the UK. She felt it a duty and pleasure to bring them to light. For the first festival, works by only living composers were performed, but since then music by older composers has been included because even now the music of Ruth Crawford Seeger or Amy Beach is not well known in the UK. This year's festival opens with the film of scenes from Odaline's opera Imoinda (setting a libretto by Joan Anim Addo). The opera is the first part of a trilogy (the second part was performed at the previous festival and Odaline is currently working on the third part). Selected scenes from Imoinda were filmed in 2015 with Opera Ebony in New York City. 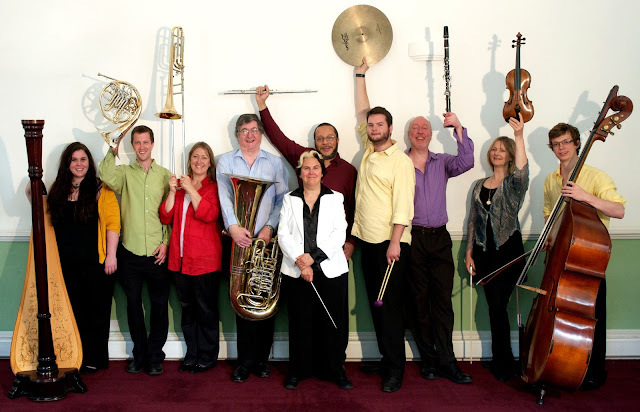 For the opening concert on 6 November, Lontano joins forces with the New London Chamber Choir and Stephen Upshaw, a young American viola player living in the UK, conducted by Odaline. The concert pairs music by Morton Feldman (it is the 90th anniversary of his birth this year) with that of Earle Brown. 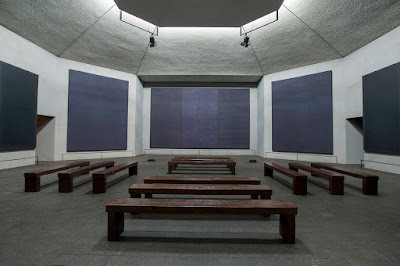 Feldman's Rothko Chapel for viola, choir, celeste and percussion, is a work which people know of rather than know. The work was inspired by the Rothko Chapel in Houston, and it is serendipity that paintings by Rothko are currently on display in the Royal Academy's Abstract Expressionism exhibition. Earle Brown's music inhabits a similar sound-world to that of Feldman. Brown was a friend of the artist Alexander Calder, and Odaline finds that Brown's music evokes Calder's famous mobiles. Many of Brown's pieces are not fully notated and the conductor uses gesture to indicate cues, tempo, dynamics, durations and much else besides, the music hanging in space much as the elements of the mobiles do. It is a different type of conducting and on 2 November Lontano and Daniel Aisa (who worked with Brown on his music) will be doing a workshop on Earle Brown's music with a group of young conductors . During the concert on 6 November there will be two performances of Earle Brown's New Piece, one conducted by Odaline and the other conducted by one of the participants in the workshop. One of the features of the festival is that concerts are preceded by 'Meet the Composer' events, and a surprising number of composers plan to be present at the festival. The second day includes a concert from the Irish based Fidelio Trio (Darragh Morgan, Adi Tal and Mary Dullea), and composers to be performed include Orlando Jacinto Garcia who is a Cuban based in Miami who teaches at Boca Raton, he is a composer who the festival has performed before. 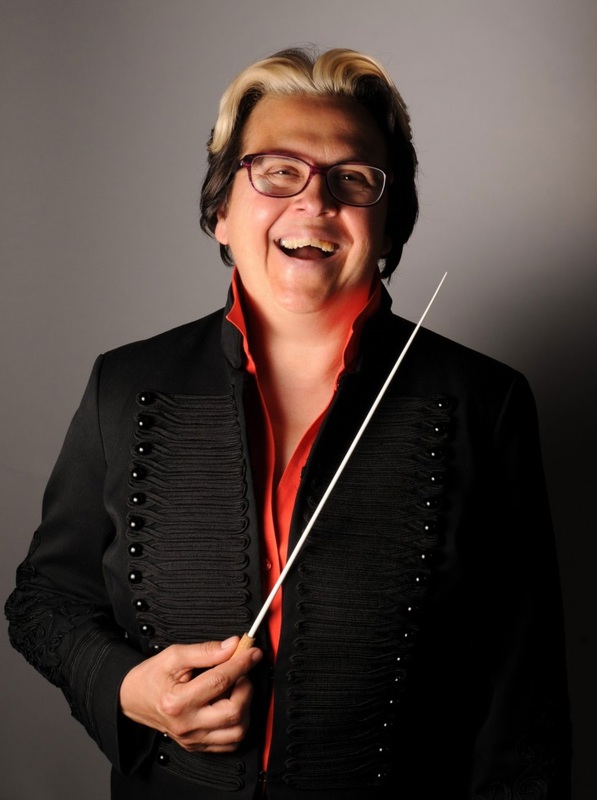 Also in the concert is music by Jennifer Higdon, now best know for her opera Cold Mountain, which was commissioned by Santa Fe Opera but which has gone on to have success elsewhere. Higdon is something of a featured composer in the festival with three works being performed. The third concert sees Odaline and Lontano return to the concert platform, but they are joined by the composer Hannah Lash who will be the harp soloist in her own Three Shades Without Angels. Lash is based at Yale University, where a huge endowment has enabled the school of music to become tuition free. Odaline describes Lash's music as rhythmic and difficult, but great to perform. Four of the composers in the concert, John Harbison, Charles Shadle, Peter Child and Elena Ruehr, are all at MIT, an institution where Lontano was in residence in 2015. In fact it was a conversation with Peter Child (UK born but USA based) which inspired Odaline to create the festival in the first place. Her comment about always hearing the same composers led to her and Child programming the first festival. Lontano performed a piece by Elena Ruhr during the International Women's Day celebrations on BBC Radio 3, and Odaline describes Charles Shadle's music as tonal yet original. 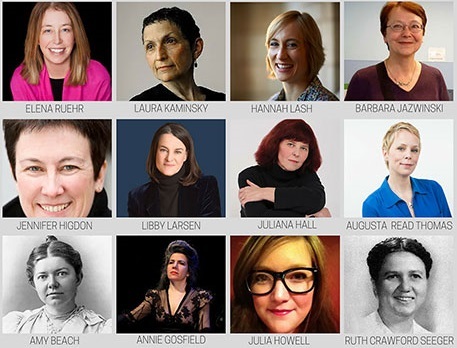 The concert is preceded by a Women Composers Panel chaired by Jessica Duchen, though one of the composers, New York based Laura Kaminsky, has had to pull out because she has an opera being performed in Portland, Oregon. The fourth concert is a recital by soprano Nadine Benjamin accompanied by Susanna Stranders. Here we have songs by Amy Beech, a song cycle by Odaline herself, plus songs by Juliana Hall, an aria from Cold Mountain by Jennifer Higdon and Libby Larsen's funny Try Me, Good King! Odaline's After Sylvia is based on two poems by Sylvia Plath, Morning Song and Lady Lazarus, and refers to Plath's repeated suicide attempts. Julia Howell, who is American, studies in Cardiff with Arlene Sierra (also American) and when Lontano performed in Cardiff earlier this year they did a workshop there and included one of Howell's pieces so Odaline asked for something for the festival. The final concert of the festival, when Odaline and Lontano are joined by pianist Mary Dullea, opens with the final work by Jennifer Higdon, the UK premiere of Smash, which Odaline describes as very fast. There is music Laura Kaminsky, Augusta Read Thomas (read my interview with Augusta) who studied at the Royal Academy of Music, Barbara Jazwinski, Fred Lerdahl and Carlos R. Carillo. Jazwinski is Polish-born but based in New Orleans and includes elements of New Orleans jazz and blues in her music; Jazwinski teaches at Tulane University where Odaline studied, and she came across Jazwinski and her music when visiting the university. Odaline describes Lerdahl's music as very fine but very difficult, and the ensemble enjoys playing his pieces. The one on the programme, Give and Take for violin and cello, is very well crafted and calls for soloistic playing from the two instrumentalists. Odaline calls him a major voice. The concert, and the festival, concludes with world premiere of Carillo's de febriles formas se forma el futuro. Carillo teaches at Indiana University, and is from Puerto Rico. The music in the festival is not there just to entertain, Odaline wants to share her passion for the music of the USA. Music which reflects the multi-cultural background of the country, with many variations styles, different backgrounds and geographies.As happened to many women composers, older women composers in the festival such as Ruth Crawford Seeger and Amy Beech were known during their lifetime but with their death their music has fallen out of use. And women composers' careers can take on a strange shape as they depend on family events. Odaline cites the example of the British composer Minna Keal (1909-1999) who had a popular career as a young composer, but family intervened and she only returned to music in her 60s (see Lontano's recording of Keal's music on Amazon.co.uk). Of course, reviving such relatively unknown music can have its problems, notably the ability to access the music in the first place. With living composers the music usually arrives electronically and can easily be printed, but historical composers are more difficult. Luckily Amy Beech had a connection with Harvard, through her husband, so there is a significant amount of her music in the library and the songs by Amy Beech included in the festival are very popular in the USA and the music can be bought on-line. Though it is not always the case, and sometimes work has to be done. 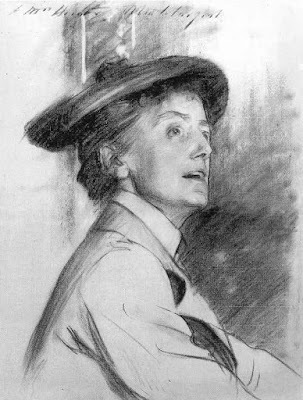 One of the composers whom Odaline has consistently championed over the years is Dame Ethel Smyth. Odaline conducted Smyth's opera The Wreckers at the BBC Proms in 1994 (a performance which was issued on disc). When Odaline first looked at the score and parts of the opera at Universal they were effectively falling apart. She approached John Drummond, then in charge of the Proms at the BBC, and it was the BBC which helped fund the editor needed to sort out the score, and the parts were created from scratch. It was very much a labour of love on the part of both Odaline and the BBC. More recently Odaline and Lontano have been working on other Smyth scores to ensure that they are available The music from Smyth's Serenade is now available for purchase from the Lontano Records website, the monies coming from sales simply pay for the costs of producing the material in the first place. For this piece decisions had to be made about which version to use as the two scores Odaline had (from two different sources) had differences, owing to Smyth's habit of revising pieces after hearing them. Odaline would like to do the same for On the Cliffs of Cornwall the overture to Act Two of The Wreckers, an atmospheric work which had some independent life during Smyth's lifetime but not much since then. Of course, such a project needs finance to create the parts. The problem with Smyth is that her music was with Universal in Vienna, and Smyth took back the scores on the Anschluss. But Smyth died in 1944, before normality was restored so that Universal only acted as agents subsequently and never had any interest in preserving the music. Odaline recently recorded Smyth's opera The Boatswain's Mate for Retrospect Opera (see my review), and would have liked to record Smyth's 1925 opera Entente Cordiale next but the score and parts are missing, the only surviving score is the piano/vocal one. So the hope is that someone, somewhere has a full score of Entente Cordiale. Odaline is a woman of wide-ranging interests and our fascinating conversation had many delightful highways and byways, ranging from the problems of dealing with copyright (and the danger that it may increase to 90 years in the USA), to reconstructing Sullivan's cello concerto, and the original French libretto by Henry Brewster for Smyth's The Wreckers. The Sixth London Festival of American Music runs from 6 to 11 November 2016 at The Warehouse, Theed Street, SE1 8ST. Ticket information from EventBrite. 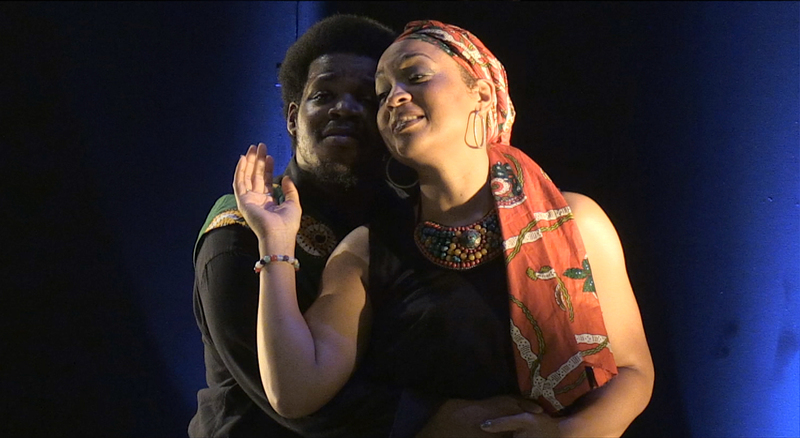 FREE FILM (ticket required): Selected scenes from opera Imoinda by Odaline de la Martinez, with a talk about the opera from librettist Joan Anim Addo. Female Composers’ Panel: Jessica Duchen leads panel with composers Hannah Lash, Barbara Jazwinski, Laura Kaminsky, Julia Howell, and Elena Ruehr.